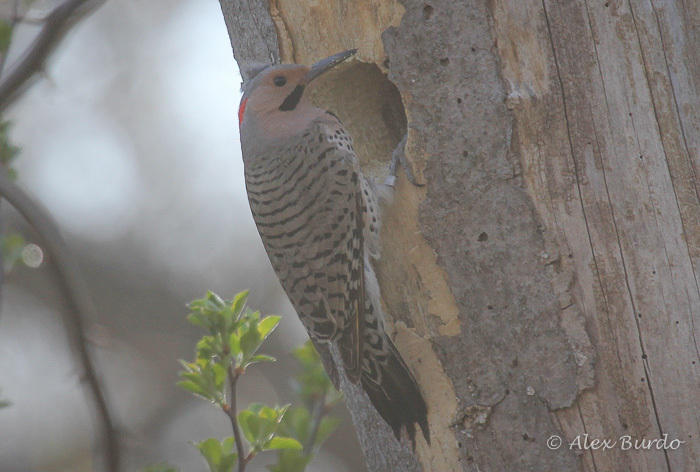 4/25 – Birdcraft Produces a First! It’s not every day that I see a new bird for my Fairfield list. After all, I’ve been religiously birding my hometown of Fairfield for years now. There are few birds that I haven’t seen here, and that list of birds I’m missing got even smaller following a visit to the Birdcraft this past Thursday. So what was the new species? Late into my visit, I looked skyward to note a group of large, black birds making their way east. Instinctively, species along the line of Double-crested Cormorant and Canada Goose came to mind. But something didn’t look quite right. One look through binoculars yielded the answer: Glossy Ibis! Count ’em! 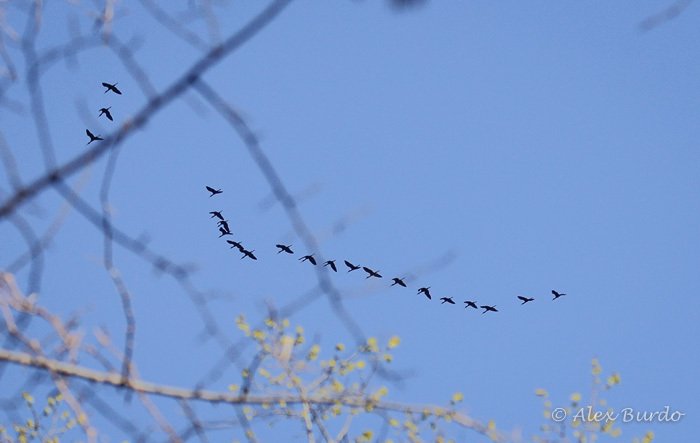 Twenty-one Glossy Ibis making their way east over the Birdcraft. Although regularly seen in neighboring towns of Stratford and Westport during the warmer months, Glossy Ibis is a rare species in Fairfield, and this is the first recorded occurrence that I am aware of. Despite the fact that GLIB records for Fairfield are slim to non-existent, these birds likely pass over the town on a near-daily basis during the warmer months, as they commute between nesting/roosting locations and foraging sites along the coast. 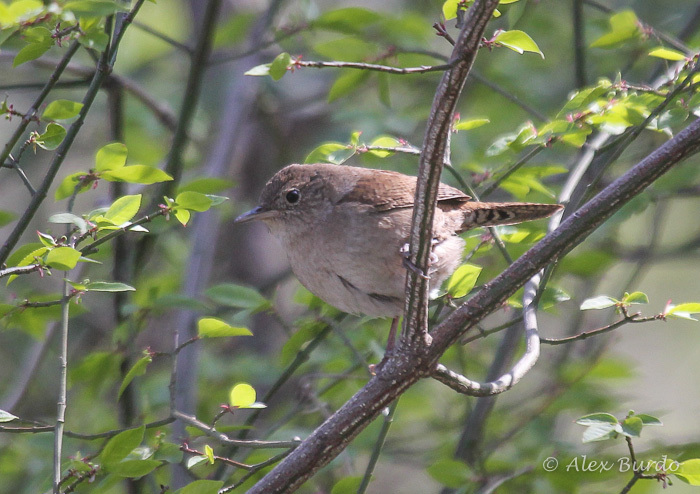 The main purpose of this visit was migrants, of which I encountered a few, including my FOY House Wrens for Connecticut. Others included Eastern Phoebe, Blue-gray Gnatcatcher, Ruby-crowned Kinglet and Hermit Thrush. No Wood Warblers were recorded. 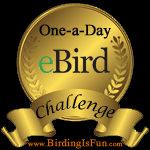 1 Response to 4/25 – Birdcraft Produces a First!